Susan Rabinowitz Malloy of Westport, noted artist and philanthropist, died April 14 in Norwalk Hospital after a brief illness. She was 91. 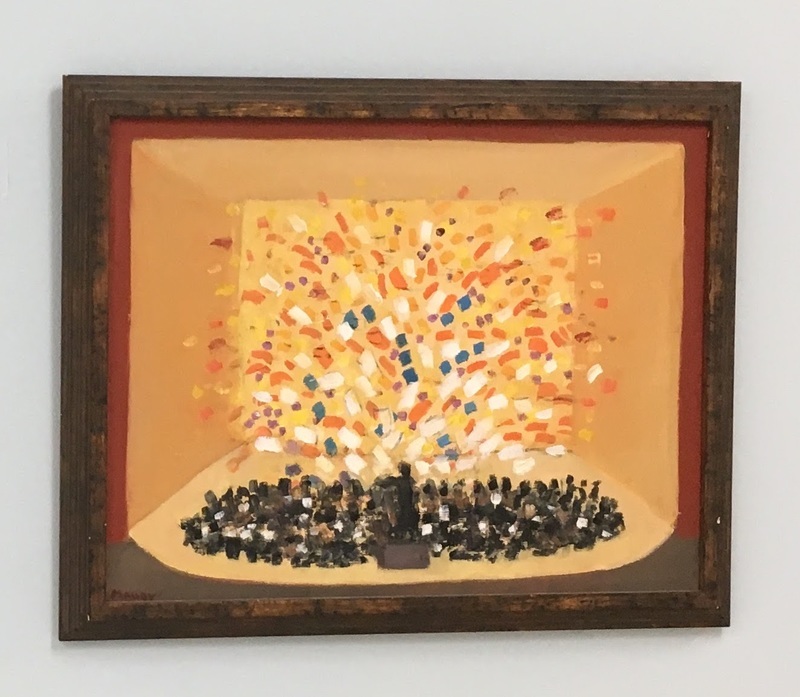 An ardent supporter of the arts, she was honored a year ago at the Westport Arts Center, where she was an honorary board member, with an exhibition marking her 90th birthday, “Susan Malloy: In the Studio.” She also sponsored the annual Westport Library Malloy Lecture in the Arts. She was born Feb. 28, 1924 in New York City to Aaron and Clara (Greenhut) Rabinowitz. Her father was a prominent New York City real estate developer. She grew up on the Upper West Side, attended the Lincoln School, and graduated from Skidmore College in 1945 with a B.A. in studio art. Afterwards, she moved back to New York City and attended the Art Students League, where she was introduced to the world of emerging artists. There, she worked with such notable artists as Will Barnet and Bob Blackburn. She traveled extensively throughout Europe, seeing the works of art she had studied in her art history classes. In 1956, she attended an art workshop in Positano, Italy, a small town on the Amalfi Coast. Positano opened her eyes to new ways of seeing color, and forever influenced her work. In 1957, she married Edwin A. Malloy, an attorney, prominent real estate developer, and philanthropist. In 1969, they moved with their two children, Timon and Jennifer, to Westport where her parents had maintained a house since 1928. Edwin Malloy died in 1998. Malloy continued to paint and draw wherever she lived. She had a studio in her Westport home and spent much of her time there, when not swimming in her indoor pool, even in her later years. She exhibited in several juried group shows throughout New England, including the Westport Arts Center’s group shows. She had 11 solo exhibitions at Skidmore College, the University of Bridgeport, Greenwich Arts Center, and Harvard University Divinity School, among others. She also taught art at the University of Bridgeport. She supported numerous causes, and was a principal of the Stamford-based Sun Hill Foundation. Recipients of her generosity included the Westport Arts Center, the Westport Library, New Israel Fund, the Whitney Museum of American Art, The Tang Museum at Skidmore, Temple Emanu-El in New York, and Temple Israel in Westport. She volunteered at the Westport Historical Society and was a member of the League of Women Voters of Westport. Causes related to Jewish cultural matters were of special interest. Last year, Project Kesher honored her as it marked its 25th anniversary connecting women from the United States with women from Russia and the Ukraine. In 2007, Malloy traveled to the Ukraine with Project Kesher and documented her experiences through sketches later exhibited at Hebrew Union College. Malloy, Susan , “The Orchestra,” Westport Public Schools Digital Collections, accessed April 24, 2019, https://collections.westportps.org/items/show/2087.